Furniture Reupholstery: Do's and Don’ts! At one point in time that worn out and damaged item of furniture was loved, cherished and had pride of place in your home. Why not rebel against today’s ‘throw-away’ mentality? Consider furniture reupholstery instead of discarding a potentially usable item!2There is a lot to consider when making a decision about keeping or throwing away a favourite item. Should you salvage that gorgeous occasional chair your grandma passed down to you? Is it time to update your worn out ten year old fabric sofa lounge? In short, is it really worth it? As a general guide, having your average sofa reupholstered costs you about two-thirds of what it would cost to purchase the equivalent looking piece brand new. Obviously, you cannot replace sentimental value, history and its personal worth to you, but this cost comparison offers some food for thought. At this moment, you need to decide whether your used furniture is worth reupholstering, giving new life to or if it has come to the end of its days. This is a very personal decision and there is no right or wrong verdict. So you have decided that you are going to save that treasured piece of furniture and have it restored to its original beauty. There are some very important things you need to know. Do your research – Consider how much a brand new replacement would cost compared to restoration and reupholstery. Include the cost of labour, price of fabrics per yard and of course professional reupholstery craftsmanship in your sums. Do find experienced upholstery repairers – Putting your furniture into inexperienced hands is a recipe for disaster; particularly when your vintage chair that grandma gave you has sentimental meaning. It is not worth risking its complete demise so it is important that you research the repairer’s expertise. Do they have the knowledge to repair vintage pieces? Do they specialise in a particular era or type of furniture? Do they possess the skills required to duplicate delicate pieces of furniture you need fixed? Do ask for references – Just like any employer or contractor, you need to know that the person you are trusting your goods is reliable, good at what they do and trustworthy. Ask potential reupholstery businesses for references from previous clients, and pay them a personal visit, too. Some repairers offer a showroom or online gallery of previous work. Do look at samples – Look at as many swatches and wood polishes as you need to before making your final decisions. Feel the fabrics, look at colours and patterns, and be 100% happy with them before moving forward. Chances are, you will have this piece for another ten years so you need to love it! If you are considering loud or bold patterns but generally prefer flat or soft tones, sleep on it and try to visualise the piece in your home. The excitement of restoring an important household item can leave you caught up in the moment and acting impulsively. There’s a time and a place to be spontaneous – and this is not it! Before you do anything, stop and read these tips. Do not assume – Under no circumstances should you assume the upholsterer can read you mind. Do they really know what you mean by ‘retro but modern’ or ‘bold but with neutral tones’? What you envisage may be very different to how an expert will visualise your descriptions. You also cannot assume that all reupholstery businesses recover AND restore. Some specialise in fabrics alone. If your furniture requires spring and frame adjusting, you need to be precise and show them exactly what you want. Avoid confusion or disappointment by having clear, honest communication. Do not think cheaper is better – Do not ever choose your furniture reupholstery based on how cheap they are. While not all cheaper options will be poor quality, in this industry it is often a case of ‘you get what you pay for’. You are making a huge investment when you reupholster and repair your furniture, so make sure you are investing in quality! Do not think a verbal discussion or contract is sufficient – Get everything in writing. It does not need to be a formal contract signed in triplicate, but a clear ‘scope of work’, even by email, will cover things like costs, the estimated completion date, fabric choices, patterns, colour of the wood stain, or any additional service charges, like delivery. 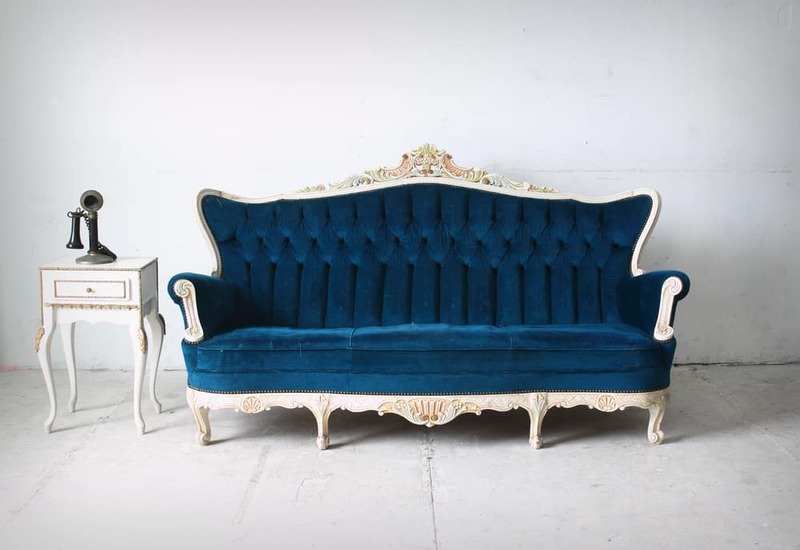 Do not think every piece is worth reupholstering – With the popularity of renovation shows on the rise, it is becoming more common to see bargain hunters searching garage sales, auction sites and even kerbside collections for unwanted and worn out pieces of furniture. Unfortunately, when purchasing or accumulating furniture through these avenues, it is not always possible to know the history of how well they were looked after and where they were stored. If they were stored in the garage there is a good chance they have been exposed to moisture for excessive periods of time which means the timber and fabrics could be damaged. If the item has been in the house of a smoker for years, it is not only the fabric and cushions that soak up the smell, it can also saturate the wood. Once it reaches that point, you will never get rid of the smell. When so many factories are pumping out thousands of generic pieces of furniture each and every day, it is no surprise that people are still eager to get their sofas, dining chairs and vintage seats reupholstered. Give your old furniture a new lease on life and restore its original beauty through furniture reupholstery so you can appreciate and enjoy it for many years to come. Give the expert team at Lounge Repair Guys a call today on 1300 10 15 10 to discuss all of your furniture reupholstery and furniture restoration needs.